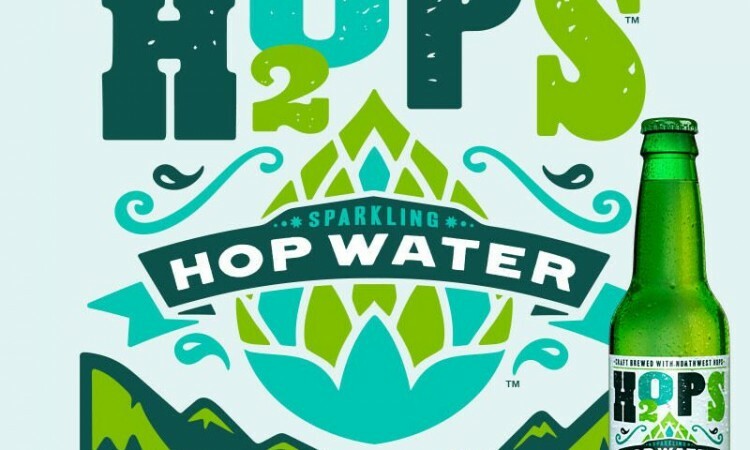 We are continually learning about what type of occasions people drink our H2OPS Sparkling Hop Water. 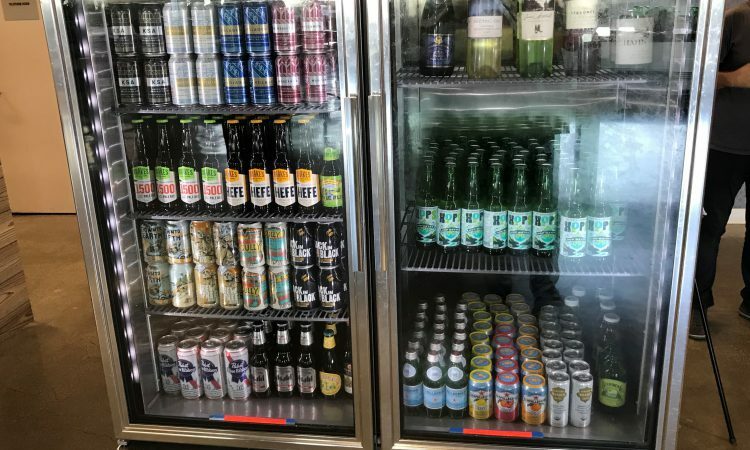 Somewhat surprisingly, several notable tech companies have begun stocking us in their office fridges and offering H2OPS as a non-alcoholic alternative at company parties. No there is no caffeine in H2OPS hop water, but for some reason it seems to fit. Netflix Hollywood had a company event recently with an Oktoberfest theme – dubbed Oktoberflix.” Since it was a lunch event and the company wanted some productive work in the afternoon, they offered H2OPS as their hoppy festive drink. Google San Francisco now offers us in their fridges alongside other sparkling waters and other non-alcoholic drinks. They also offer H2OPS as a non-alcoholic alternative at after work events where alcohol is served. After talking to some of these innovators, they cite a variety of reasons. Some say the flavor and aroma of the hops is a sensory awakener that recalls time of celebration and hanging out with friends. Rather than making you sleepy, it hydrates and refreshes. But it’s not a beer or even a non-alcoholic beer most say. It’s something different. It’s something new and innovative. Is H2OPS a tech company or beverage company? I say beverage company, but some in tech may disagree. After seeing this photo someone posted on the H2OPS Instagram page, it reminded me what a great session extender H2OPS is. As an example, I was cleaning up my garage this weekend. To make it more enjoyable, I put on some music and cracked open one of my favorite beers. After two, I could tell my productivity was going down. I pondered cracking another but wisely twisted open a bottle of H2OPS and finished off the job refreshed and hydrated. If I would have had another beer, it might have been nap time and weekend plans delayed or cut short. 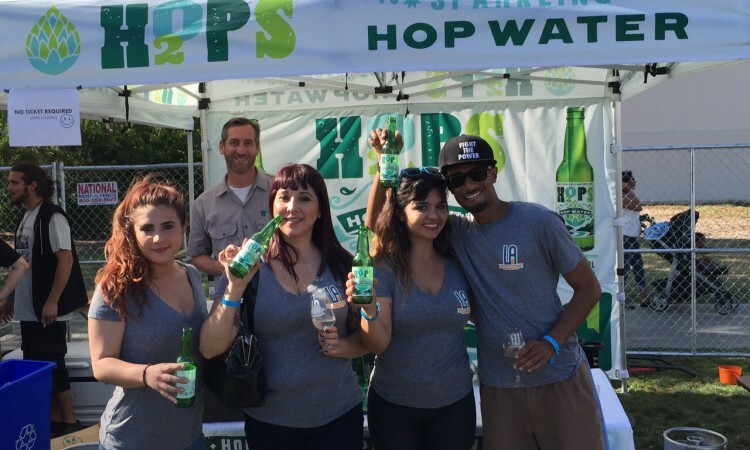 After consuming and serving H2OPS over the course of several years on different occasions and pouring it at over 30 beer festivals, I have come to the strong conclusion that H2OPS pairs exceptionally well with beer. H2OPS is brewed with hops (like beer) and when drinking a H2OPS after drinking a beer, it feels like you are still in the session. Yet there is no alcohol or calories. It tastes more refreshing and a bit different for sure, but it doesn’t shock your system like drinking plain or sparkling water as a spacer. Of course H2OPS is fantastic as a stand-alone beverage enjoyed without beer, but H2OPS as a “session extender” is one of its most enjoyable and life improving uses. Its National Home Brew Day today. 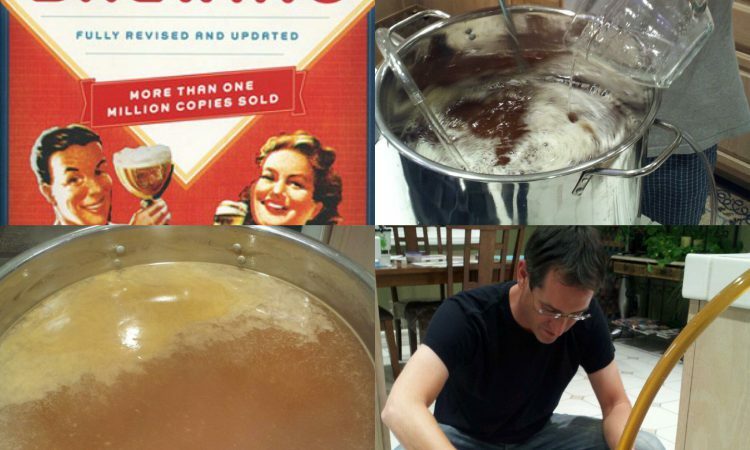 For some it’s just another “drink a beer day.” To me, home brewing is personal and meaningful on many levels. Home brewing kicked off when Senator Alan Cranston from California sponsored a bill to legalize it in 1978. It was a different time back in 1978. In these early days of home brewing, all beer was essentially the same; the American Pale Lager, aka Bud, Miller, Schlitz, Hamms, etc. Homebrewers at that time were motivated because they could brew beer they couldn’t buy in the store. Today with the plethora of craft beer in many styles, that’s not the main motivation. It’s more about understanding the process and becoming intimate with something you admire and appreciate. For a select few, it’s about learning the craft and figuring out if you have the chops to be a pro craft brewer. On a personal level, it was a shared appreciation of the reds, porters and unusual style beers that I could sometimes find at Trader Joe’s and other specialty California retailers back in the early 1990s that led this girl I was dating to buy me a basic home brewing kit as a birthday gift. It was then that I knew she was a keeper. We have been married now for 22 years. About 5 years ago, my hobby of home brewing had evolved to where I was growing hops in my backyard. It was after a day of brewing with these freshly picked hops, when it hit me that hops could be brewed in a way to create a flavorful hop water without grains or yeast. After having friends and family taste this new brew, I knew I was onto something. 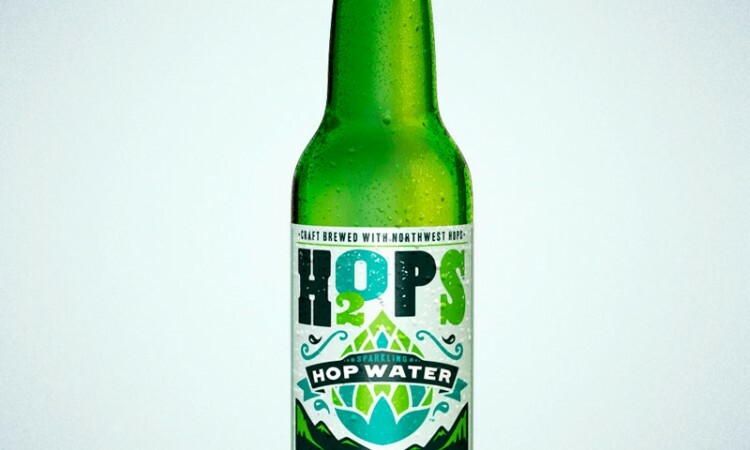 After 2 years of trial with many different hop blends and methods, I set out to commercialize what is now the first craft brewed hop water: H2OPS. So cheers to all my fellow home brewers on this special day. 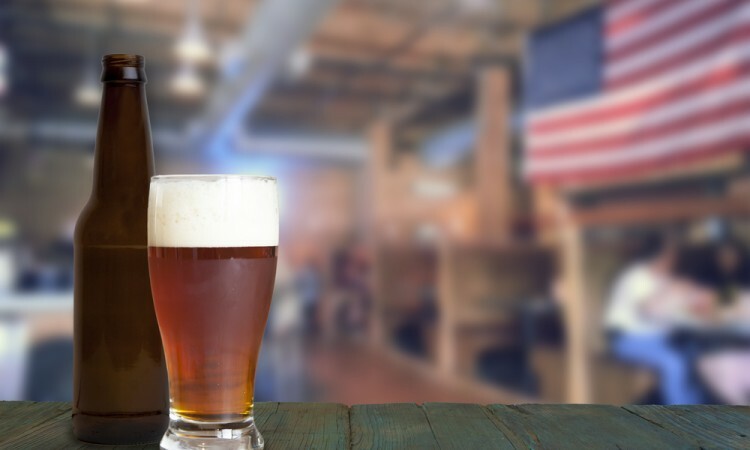 Raise a glass to Alan Cranston for legalizing it and again for the home brew shop owners who have poured their passion and life savings into providing quality home brewing supplies so that we could innovate and appreciate the wonder of beer. I was checking out my hop garden for signs of life this evening and sure enough this year’s crop is starting to peek out from the ground. It’s hard to believe it was five years ago when I first took the plunge into growing my own hops. In hindsight, I wish I would have done it years before. It was this step which truly made me appreciate the magical thing that hops are. 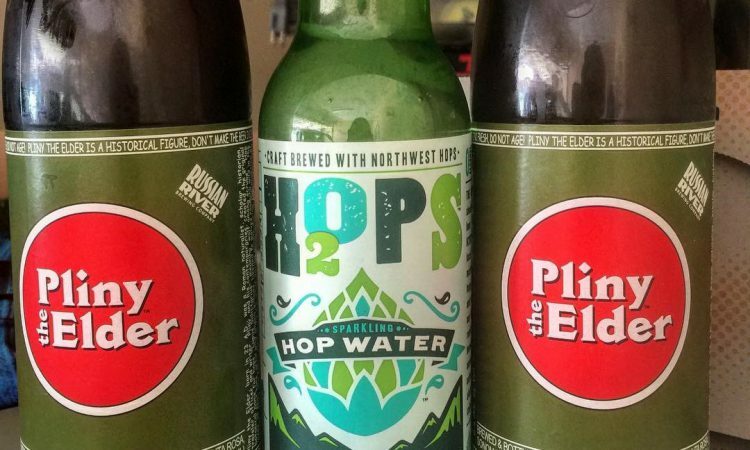 It also directly led to my epiphany that hops could be brewed and enjoyed as a refreshing sparkling hop water. With regard to climate, I was very concerned that I was wasting my time because I live in Yorba Linda, California, which is located in So Cal between the Mojave Desert and the coast. 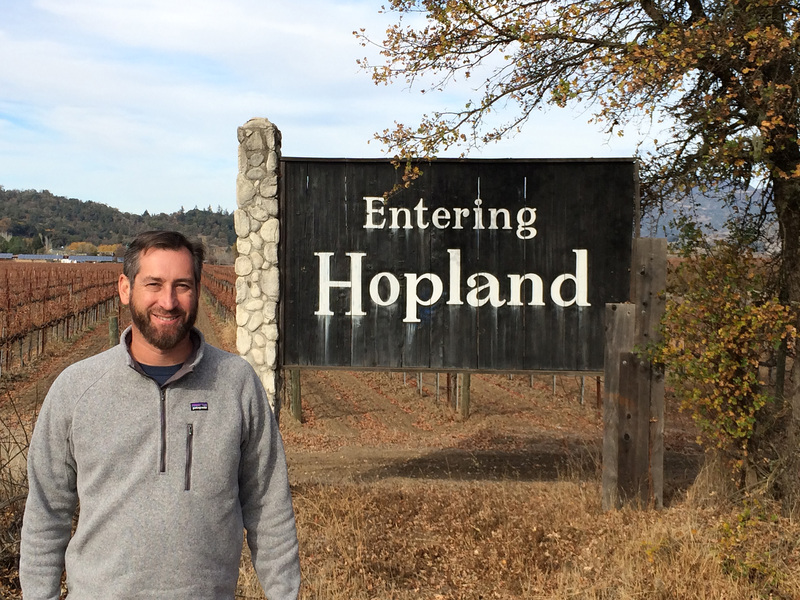 The climate is pretty different than the areas in Oregon, Washington and Idaho, where the best commercial hop farmers in the West cultivate. Because the reward was so big, I plunged ahead anyway and hedged my bet by purchasing two of every variety I could find, hoping that one would be hearty enough to survive. I labeled stakes by variety and the one that initially did the best here was the Columbus hop; a fitting hop for what I consider a discovery. I have since had success with other hops and have met other small commercial operators here who have impressively been able to grow a wide variety of hops in Southern California. While there are entire books on hop cultivation, I can assure you that the planting is very easy. Tending to what eventually comes out of the ground may present some challenges however, so choose your location wisely. Hops can grow an impressive 12” a day at their peak season and reach up to 25 feet. You can almost watch them grow. Many home hop farmers, especially those with 2 story homes, choose a location near their house, so they can string twine from the rooftop. This is easier than devising a standalone system, but there are many ways to string a hop. For most varieties, the peak harvest occurs in August and then they go dormant and you cut back the plant to near the ground. As my new hops peak out from the soil as they did today, I usually trim back the dead wood some more and move the mulch out of the way. All the details of planting and caring for your hops goes beyond the scope of this post, so check out You Tube and other online resources. It’s easier than you might think and very rewarding. Even if you are not a brewer, I am sure your neighborhood has some who would jump at the chance to make use of your bounty. Hops are beautiful and majestic plants to look at and picking and enjoying that aroma will enhance your knowledge of beer and bring back a wave of memories of a well hopped beer. What could be more enjoyable than enjoying a home brew, craft beer or craft hop water in the shade of your own hop plants? You might even pick a hop and plop it in your drink as a garnish. 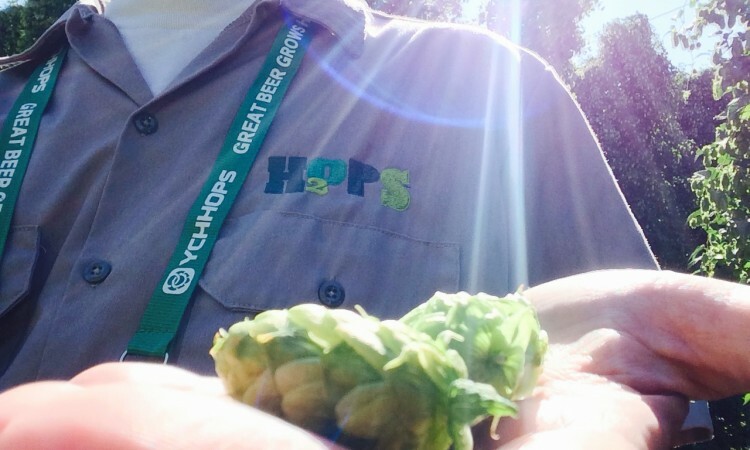 To be in the Yakima valley for the hop harvest is on the bucket list of many craft beer brewers and aficionados. Check! Visitors to the farms this time of year get to see the towering hop bines at their peak height basking in the warm sun and shimmering with bright green hop cones. I am 6 foot 4 and I feel like a toddler among these NBA players of the plant world. Its not only the visual majesty, the complex grassy, piney and floral aromas flow through the hop yards and processing facilities bombarding your senses at every turn. Even the multi-generational hop farmers, who have experienced this cycle all their lives, seem genuinely proud and humbled by the giants they have cultivated. The marveling doesn’t last long however, because pride soon turns to anxiousness, as they prepare themselves for the laborious harvest which will go on 24/7 for the next several months. Yes they even harvest at night so they can get the whole crop picked at its peak. Thank you hop farmers! Of course this was a “business trip,” albeit one I would gladly pay to attend if it weren’t related to the business of brewing our hop water. I was invited by our co-op of hop farmers YCH Hops for a few days of presentations, which included one by guest hop expert Stan Heyronomous, author of the book For the Love of Hops. I wish I would have brought my book to have him autograph it. A highlight of the trip was the tour of the renowned Perrault Farms. There I got to walk through experimental hop groves, where they are cultivating future “hop stars” like the recent Simcoe® hop they happen to be harvesting when I was there. 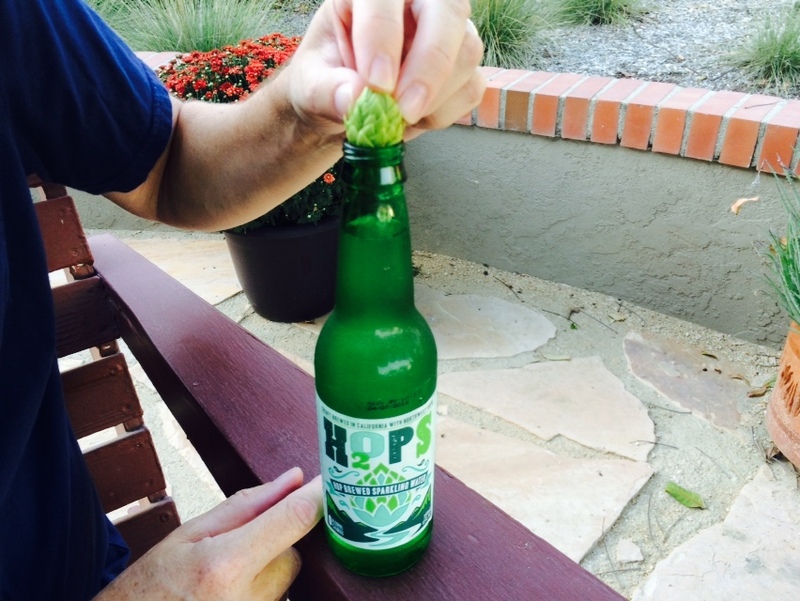 If you have ever wondered, hops are not genetically modified. They are cross bread the old fashion way and evaluated for aroma, flavor and other characteristics. Results determine which new varieties are adopted and cultivated. Interestingly I learned that some farmers use environmentally friendly ladybugs to ward off pests and some plant “cover crops” in-between the rows to reduce weeds. The Perrault family just upgraded their hop separating equipment to a new state of the art system located in the middle of their farm. I was privileged to get a tour and recorded few photographs and a short video on my phone while I was there. 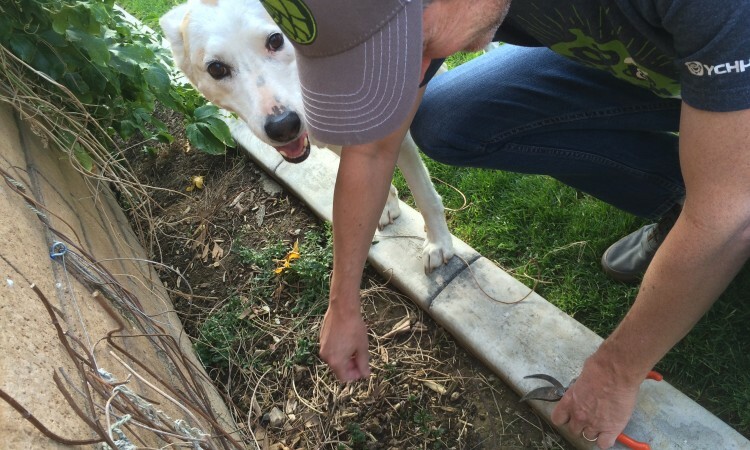 So if you ever wondered how hops go from farm to bottle, this is your chance to find out. Click here to check it out and some other videos on H2OPS Hop Water. PS: You get extra credit if you can spot the lady bug in the video. That freedom to home brew went away with prohibition in 1919. Interestingly when prohibition was repealed in 1933, this freedom was not restored. It wasn’t until almost 60 years later when Senator Alan Cranston of California wedged the freedom to home brew into HR 1337; a bill which was mostly about taxation on large vehicles and estate and trust taxes. Credit also goes to President Jimmy Carter who signed the bill into law in 1978. Shortly after the repeal of what I call “home brew prohibition,” Ken Grossman opened up a homebrew shop in Chico, CA which eventually led to his founding of Sierra Nevada Brewing. Many home brewers followed and some opened up craft breweries of their own, kicking off the craft brewing revolution we are enjoying today. So as you raise a glass in celebration of our independence and freedoms, don’t forget those responsible for our freedom to brew.